How Long Will Your Singing Voice Last? In 1992, when “I Will Always Love You” was the biggest song of the early 1990s, Whitney Houston was at her best as a singer. “Flawless,” “astounding,” and “remarkable” were words typically used to describe her voice at that time. In 1994, however, Houston developed nodules which led to permanent damage and a noticeable change– for the worse– in her voice, thereafter. She became raspy and hoarse and her vocal problems may have been exacerbated by her drug use. Other famous singers who have had nodules include Adele, Keith Urban, John Mayer, Justin Timberlake, Sam Smith and Julie Andrews. While most singers can and do recover from vocal problems, some are never quite at the top of their game, vocally, again. This begs the question: How long will YOUR best singing voice last? Well, think of singers like athletes. Singing is physical and uses muscles. As people age, things can and do deteriorate. Without practice and training, a great voice can go to a good voice can go to an okay voice can go to a bad voice. Singers, like athletes, have certain times in their lives when they’re at their best. As they age, they might not be as good as they used to be– that’s life. What are some things a singer can do to maintain a great singing voice? Getting good rest and hydration are essential. Staying in shape, eating healthy foods, avoiding alcohol, drugs, and cigarette smoke, and never “overdoing it” vocally can all help. That said, the more vocal membranes are used, the stiffer and more fibrous they become. When this happens, there’s a diminished amplitude of vibration. Vocal cords, thus, tend to “wear out.” Nodules (growths) can form on vocal cords and these nodules can bleed and scar. Scarring makes the voice hoarse… Case in point? Whitney Houston. If you want to learn how to be a better singer and how to maintain your voice, right now, then you should take vocal lessons from Sing Like a Star. Oftentimes, singers with no training use vocal techniques that essentially hurt or ruin their voices. So, while they may sound amazing one year, the next they might… not. 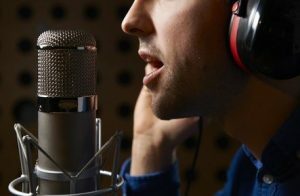 Therefore, it really helps to have guidance from professionals in order to be able to sing “at your best” for as long as possible.